We’ve all found those databases. They’re on your production SQL Server instance, but nobody seems to know if they’re being used, or what’s using them. You could run some sort of trace, but you’d probably drag down performance on your SQL Server. What you need is a quicker way to find out if the database is in use. Is a Login Using the database? And if so, what query did they run last? My favorite way to see this is with Adam Machanic‘s sp_whoisactive. Pros: Super fast, super easy. Lets you see the host name and the last query they ran. Cons: Whatever’s using the database might not be connected at the moment, or might be using a different database context. Verdict: A good first step. Are Reads and Writes Happening on Tables in the Database? Sure, it’s possible that stored procedures or functions are in use that don’t use any local tables, but just looking at whether data access is being done tells you a lot fast. My favorite way to do this is with sp_BlitzIndex®. Run it with the @mode=2 parameter, copy and paste the data into a spreadsheet, and look at the “Index Usage” column. You can also see the timestamps of most recent seeks, scans, and writes. Pros: Very lightweight, and lets you know which tables are in use. Cons: If you have fulltext indexes, you may see reads from the fulltext indexing service on those tables (even if users aren’t querying the fulltext index). Verdict: Very useful information. A good second step. Is the Transaction Counter Going Up for the Database? Pros: Super lightweight, no extra tools needed. How to use it: Take a couple of samples and see if the counter is going up dramatically. If it is going up, that means something’s fairly busy in there. I wouldn’t try to get too scientific with this one, though– it’s just too limited. Verdict: Kind of clunky, but could be useful along with the other methods here. Are there user Execution Plans in the Cache for the Database? Cons: Doesn’t catch anything that’s not in the cache due to RECOMPILE hints or memory pressure over time. You’ll probably have to slog through some rows of system procedures. Verdict: not perfect, but very information-rich if something does turn out to be using the database (and a whole lot quicker and more lightweight than tracing). I know there’s a way I haven’t THOUGHT of. Do you have a lightweight technique you use for this which I haven’t mentioned here? Let me know in the comments! Wenn Nutzer kommt, flach auf den Boden legen und auf Hilfe warten. Thanks. Just spit out my coffee! I call it the “rip and ring” method. I had to do this a lot in the SQL 2000 days and some things I would look at would be if the transaction log was growing or do differential backups and see how big they were. Is this too simplistic? Obviously that would only show transaction activity, which can be not enough to prove a database is used. Oh interesting! Yeah, it only covers modification and if you have index maintenance running that could cause some false positives, but it definitely is a possible source of info. True. If there was index maintenance. These were mostly tiny databases that never got an index and we were just trying to tell if they could be safely dropped. If you suspect that a given table isn’t being used (or, worse, is only being written to implying that the data isn’t ever being read) is SQL Audit. Granted, you have to have some idea as to whether or not it’s being used or the audit file gets large quickly, but I’ve trimmed some junk using this process. As a bonus, you get the statements that are running. Heh, I’m not sure I’d call auditing simple OR easy, but if you’ve got EE and the know how to get Audit rigged up then it absolutely gives a lot of info. Cool to hear that you’ve used this successfully! Timely stuff…just started looking at Audit today to solve that very problem (auditing specific table access and specific proc execution when the devs assume they aren’t used any longer). I was first worried about performance impact as compared to a server side trace but it sounds like its actually more lightweight than a trace, being built off of XEvents. Is dm index usage stats not a good idea? We keep a daily snapshot of indeed usage stats for 2 months, if we see no usage we offline for a month and then delete after a external tape backup with 12 month retention. Have a semi automated process For SQL 2000. We had a trace running for 30 min window to capture which db is used and the next trace filters out the for DB that have already captured as used. The more DB we captured, we increased the time for which the trace would run. We automated stopping trace after 30 mins, reading the trace to capture the db used and add filter to the New trace. Any better idea please let us know, have removed 30 SQL 2000 instances, 20 more to go :). Usage stats can definitely be helpful– that’s basically what I’m referring to in the “Are reads and writes happening?” section. On SQL Server 2012 and higher, index rebuilds can clear out those index usage stats, so that might give you bad info if you sampled right after index maintenance and you’re using rebuilds. For SQL Server 2000, that’s a pretty tricky situation. I like how you’ve approached it: you don’t have a ton of tools or options, and you’ve designed a way where you’re trying to minimize your trace footprint. 2. if there are more than x threshold it starts to dump what is being executed by said connection. Its my “go to” when I want to find whats connected and if there’s a service that isn’t letting go of the db connection like it should. 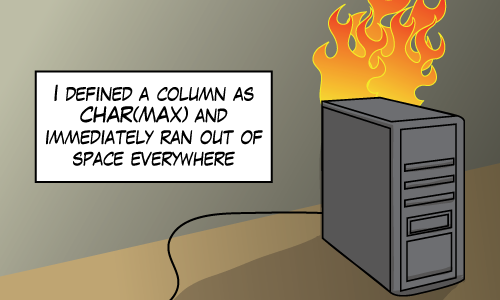 BTW: You know you’ve truly made it when you illustrate a blog article with a picture of a burning database. I always start by running a ‘netstat’. Of course this is server-wide, not per database. Stefan – right, how does that help here with multiple DBs? Here’s my solution based in sys.dm_db_index_usage_stats view. Please comment, is secure ? That’s essentially what I’m describing in the section, “ARE READS AND WRITES HAPPENING ON TABLES IN THE DATABASE?” So it has the same pros and cons. Thank you so much for the interesting post. Please note that sp_whoIsActive doesn’t tell you if the database is being quarried via SSAS. Oh, interesting! If there’s a cube that’s populated from the database, you should see the queries while the cube build is running though, right? That’s exactly what I would expected, but didn’t see happen… I’ll check for the other scripts and let you know how they’re going, though! I’ve seen the queries from cube builds before in sp_whoisactive. There’s going to be a period after the data is read in while it’s being processed in memory in Analysis Services, I bet– so the query might not show up the whole time the cube is being processed. I’ve run the script straight after processing the cube, so I don’t think it is that..
How much data is being retrieved? It shows up like any other query. So if it’s fast or if you don’t happen to catch it while it’s running, it’s hard to see. But it’s just like any other query even though it’s coming from some other SQL Server component. Great post. I’m going to use some of these. Thanks for sharing! Autoclose can give you a big perf hit, and of course a maintenance job could open it, but if you’re relatively certain a database isn’t in use and you’ve cleaned up maintenance, this does seem like a clever trick! Any good approaches for SQL Server 2000 to recomend? Renato – SQL Server 2000 is unsupported by Microsoft. You’ll want to migrate to a supported version ASAP. Just as it’s hard to hire for a position on the Titanic, it’s hard to find people interested in working on SQL Server 2000. I agree. Nice analogy, btw. Sad, but true. Actually, we have some approaches for migrating SQL Server 2000 databases and and we have a very limited possibilities for discover unused databases. Nothing so cool in 2000 like those methods above for 2008+. Renato – right, don’t bother making changes or taking risks on the 2000 boxes. Just migrate the databases to something supported. We are working at it. I know this thread is a little older but I have been referring to it so its still current for me. Another great little resource on my go to website for all my don’t fall over the learning curve requirements. — databases that have connection count 0 for extended periods are not being used. Except usage stats gets reset in 2012/2014 (up to a certain patch level) when an index gets rebuilt.